letterpress + offset printing. Crane Lettra 110# cover in fluorescent white. 1 letterpress run (blind deboss) + 1 offset ink (cool gray 11). printed on our Heidelberg Windmill + our Heidelberg GTO. 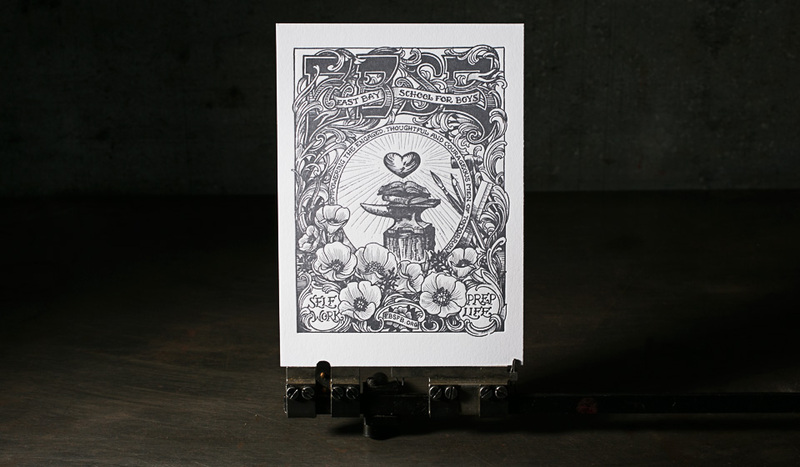 the letterpress art print (5” x 7”). 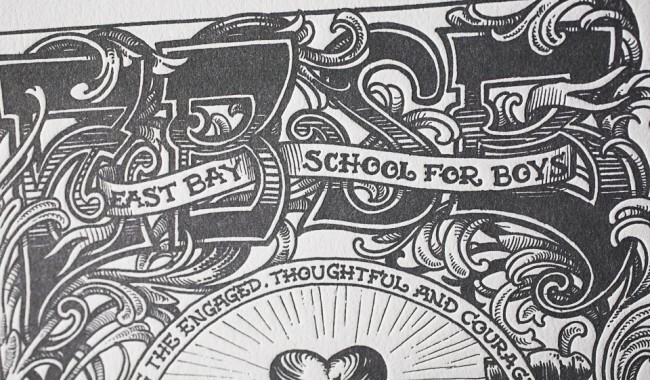 We worked with David Clifford, a founding member of the East Bay School for Boys, to create a beautifully designed, crafted and tangible thank you card to express the school’s gratitude to anyone who supported EBSB, anywhere from a kind word to a generous monetary gift. The piece was offset printed first, then blind debossed to add a level of texture to the intricate piece. 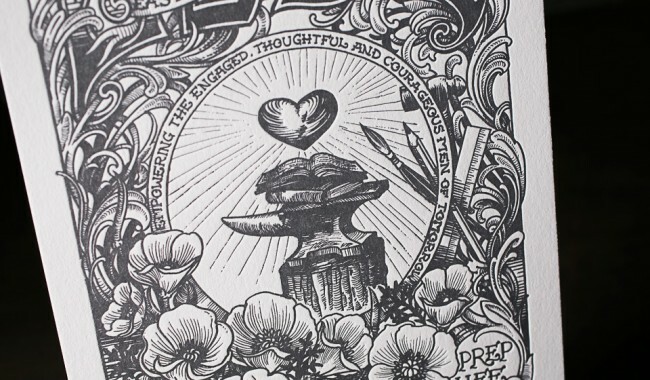 The image conjures up symbols of revolution, agency, social justice and above all, the courage to empower the thoughtful, courageous and engaged men of tomorrow – fitting perfectly inline with the school’s mission.